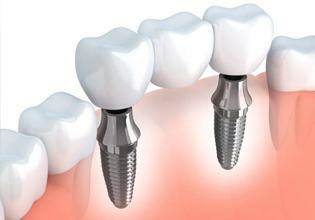 Dental implants are a superior treatment for replacing one or more missing teeth. Designed to be a permanent solution, dental implants replace not only the portion of the tooth above the gumline but the tooth root as well. This adds extra strength and stability to ensure your dental implant looks and functions just as a healthy, natural tooth would. At Dhillon Family & Cosmetic Dentistry, we use dental implants to support crowns, bridges, and dentures. When you replace teeth with dental implants, you’re truly getting a long-term solution. When examined over a 10-year period, dental implant placement has an average success rate as high as 98 percent. On top of long-lasting durability, you’re getting a replacement tooth that doesn’t just look natural, but feels natural. When you’re biting into your favorite cut of meat, chewing nuts, biting into apples and eating corn off the cob, a denture just won’t be able to offer the functions you’re looking for. Since implants are integrated with the alveolar bone, a material that’s essential to creating a stable foundation, your jaw will continuously be stimulated as you chew. That means you can prevent bone resorption and maintain the overall biting force and size of your jaw. Finally, dental implants require no wearing down of healthy teeth to place. While bridges would require buffing down nearby teeth to act as an anchor, the implants does all the work instead. Implants are not only functional, but incredibly versatile. They can be used in a wide variety of applications, whether you need to replace one tooth or an entire arch. Those missing one tooth can replace it with a single implant and one implant-retained crown placed on top. The restoration is made from porcelain, which works to create the most natural appearance while still being incredibly durable. An abutment attaches the crown portion to the implant itself. If you’re missing multiple consecutive teeth, a dental bridge retained with implants can be incredibly efficient. With just two implants, three to four teeth can be held in place. This option is far more effective than relying on natural teeth, as is common with a traditional bridge. 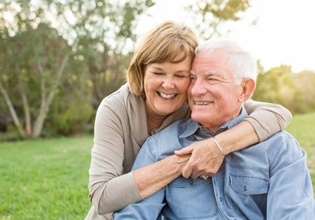 Finally, if you’re missing an entire arch or more teeth than what a bridge could replace, an implant-retained denture, such as an overdenture, would be most appropriate. By strategically placing four to six implants throughout the jaw, a customized denture can be snapped on and removed as needed. Other options allow the denture to remain fixed, essentially mimicking a bridge. This option is ideal for both the lower and upper jaw. It’s important to note that dental implants are a complex procedure. They involve many follow-up treatments and multiple pieces to place, all with their own costs. This includes the abutments, the restoration, the types of implants and the implant placement surgery itself. Costs may also include preparatory treatments like bone grafting and periodontal therapy if necessary. With this in mind, remember that dental implants are an investment designed to restore your smile for decades to come. They are typically considered more cost-effective compared to other options which require replacement every several years. Dental implants have been proven to stand the test of time when properly maintained. Dr. Dhillon can’t wait to go over your options! To get started learning more about your treatment, contact our office for a consultation with the dentist today.